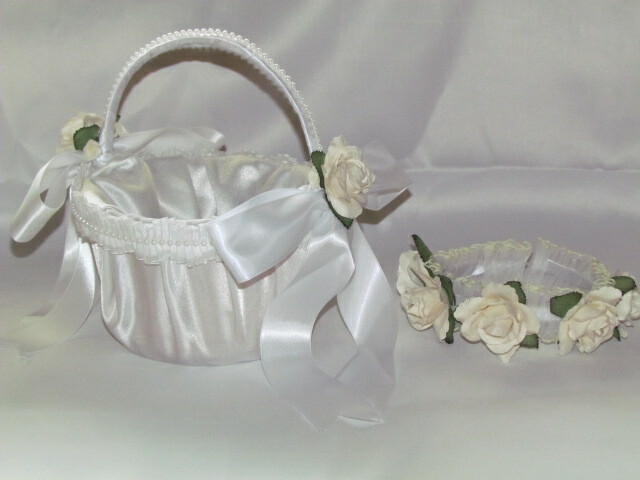 Off white flowers on white flower girl basket and headpiece set. 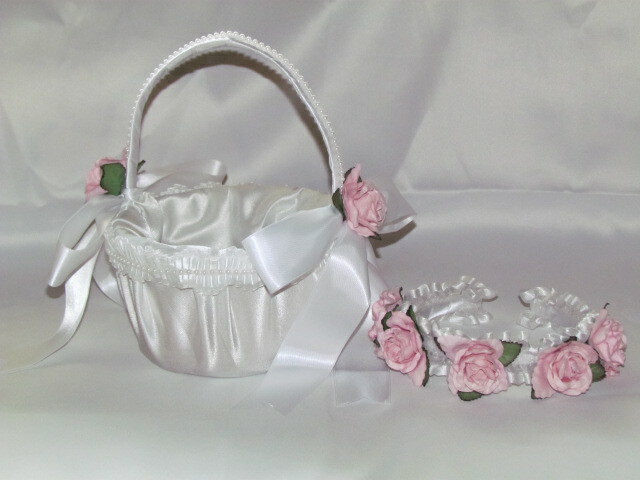 This new handcrafted satin flower girl basket and headpiece set makes a great gift! Pink roses on white flower girl basket and headpiece will look great in your wedding. Would you like to see more! 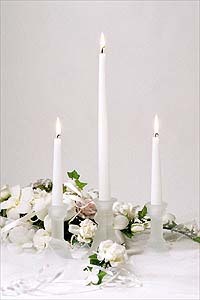 Just click on wedding accessories.